MOSCOW, January 3. /TASS/. Russia’s Emergencies Ministry has delivered a first batch of humanitarian aid to the Philippines, the ministry’s press service told TASS. "Today, in line with the instruction of the government of the Russian Federation, a ship has delivered 25 tonnes of humanitarian aid to the Philippine Republic," the spokesperson said. The vessel carrying humanitarian cargo left the Russian Far Eastern port of Vladivostok on 1 December 2017. "Two more consignments of relief supplies dispatched to the Philippines on December 9 and 23 are still at sea," he said. 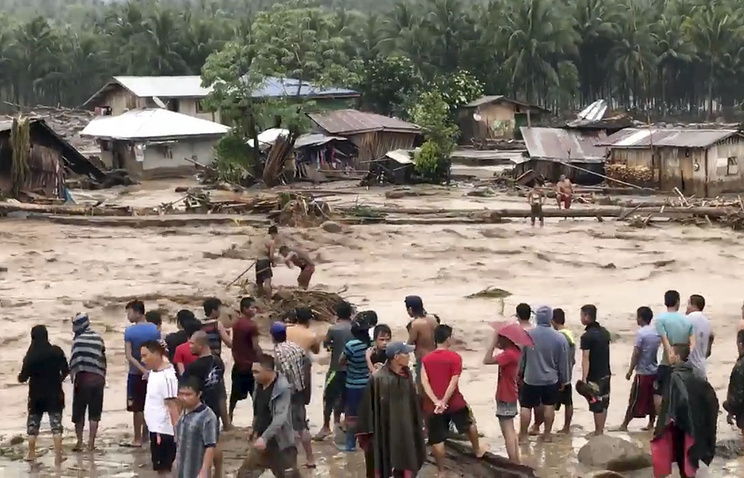 Russia plans to provide 495 tonnes of relief aid to the Philippines, mostly foodstuffs and sawn timber.